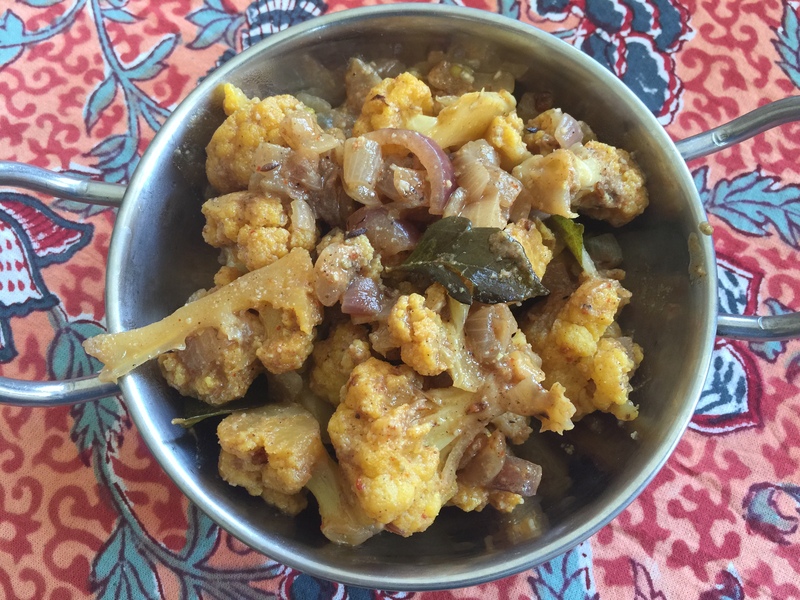 I completely thought I had blogged this recipe for cauliflower kurma before, but this morning I was looking for it on my blog and it wasn’t there! Thank goodness I found the recipe and can blog it now since it is delicious. Unfortunately, the print out I have of the recipe doesn’t contain the source. The combination of coconut and fennel gives this curry a unique flavor. So yummy! Heat oil in a saute pan. Add the cumin seeds. Once they get brown, add the curry leaves. Then add the onion and green chilis and cook until the onions are browned. Add the cauliflower and water and cover. Meanwhile, grind the coconut, cashews and fennel seeds (I used a coffee grinder). Add to the cauliflower, add salt, and cook until the cauliflower is tender.